The following post contains Harry Potter references. On the 23rd of July, Catherine Middleton, a commoner and Prince William, a true blue royal introduced to the world, the Half-Blood Prince. 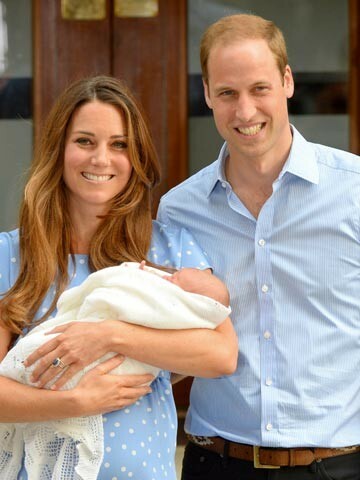 Prince William, Duke of Cambridge and Catherine Middleton, Duchess of Cambridge, emerged from St. Mary’s Hospital with their (now third in line to the throne) newly born son in London. The boy was born at 4:24 p.m., after eleven hours of labour on Monday, weighing 8 pounds, 6 ounces. The prince and Catherine looked comfortable and relaxed, smiling as they proudly appeared with the new arrival on the steps of the hospital in front of a rabble of photographers. ‘It’s very emotional, it’s such a special time. I think any parent will know what this feeling feels like.’ quoted Catherine to the reporters. Two days after the new prince’s arrival, Catherine Middleton and Prince William revealed their baby’s name on Wednesday, His Royal Highness Prince George Alexander Louis of Cambridge, otherwise known as His Royal Highness Prince George of Cambridge. The announcement from William and Kate was quick, by royal standards. Prince Charles, Prince William, and now Prince George…The royal family is now slowly transforming into the Weasleys. Hopefully they’ll name their next son Fred, although Fred was supposed to come first, but never mind. The prince was also born on the 23rd of July, the same date as Daniel Radcliffe’s (the actor who played Harry Potter) birthday. Coincidence? I think not.